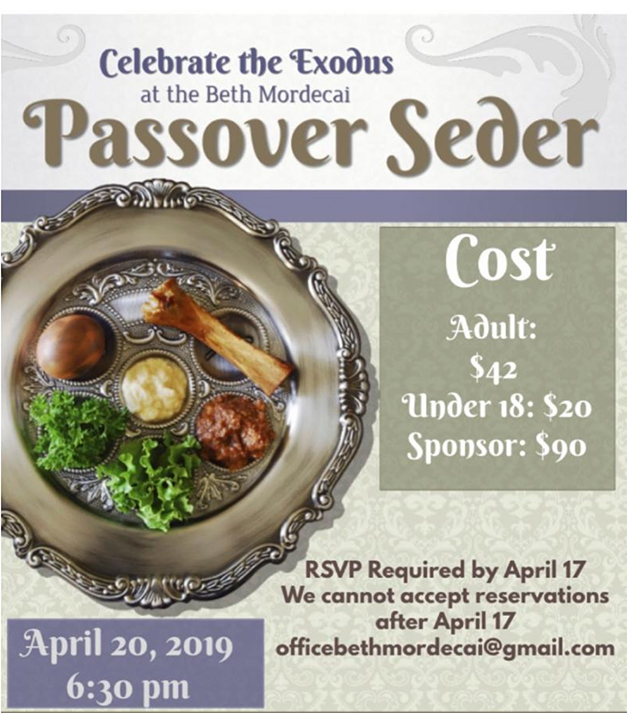 We invite you and your family to come enjoy our full Seder Service led by Rabbi Metz, then share a delicious seder dinner with other congregation members. April 20, at 6:30 p.m. Required by April 17. 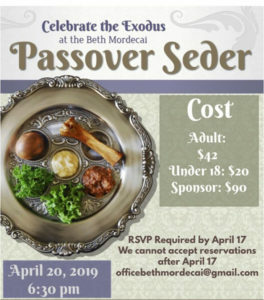 We cannot accept reservations after April 17.